The next National See Me, Hear Me Deaf Day event will be held on Thursday 19th April 2018 at the bet365 Stadium (previously Britannia Stadium), Stoke on Trent (Stoke City Football Club) and planning is already underway. 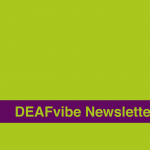 For interested exhibitors, please email deafday@deafvibe.co.uk to register your interest and to request a booking form – in the subject heading please put “See Me, Hear Me Deaf Day 2018”. Each year, DEAFvibe organises a national “See Me, Hear Me” Deaf Day event which takes place during Deaf Awareness Week. We invite a range of local and national organisations to hold exhibition stands on the day to promote their services to the general public. This is an opportunity for deaf, hard of hearing, deafened and Deafblind people as well as their families, carers and friends and professionals working to gain a range of information on deafness, equipment advice and support. BSL Interpreters, Electronic Notetakers, Lipspeakers and Deafblind Communicator Guides will be available on the day. If you have any other communication needs, please let us know. If you require any information in Braille please let us know in advance so that we can arrange this for you on the day. BSL Tours of the Stoke City Football Club will also take place on the day – book your place at the DEAFvibe Stand when you arrive! Places are available on a first come, first served basis. 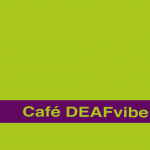 Book your place at the DEAFvibe Stand when you arrive. Food and drinks will be available for self-purchase (cash only) on the day. 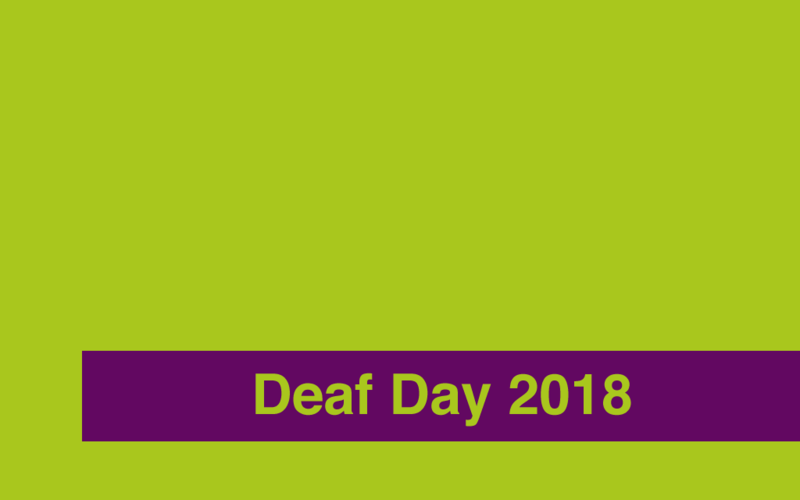 For further information and to request a booking form, interested organisations and exhibitors can email DEAFvibe at deafday@deafvibe.co.uk to request a booking form – in the subject heading please put “ Deaf Day Event 2018” or fill in the form below to find out more about this event.